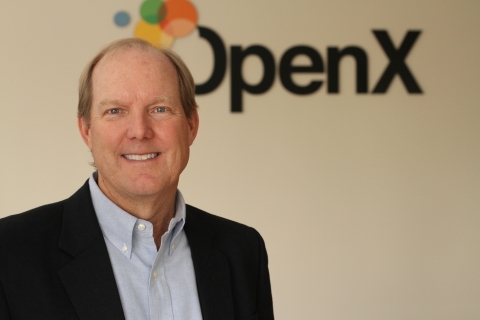 LOS ANGELES--(BUSINESS WIRE)--OpenX Technologies, Inc. (OpenX), a global leader in digital and mobile advertising technology, today announced the appointment of digital media veteran Tom Fuelling as chief financial officer. Fuelling brings more than 25 years of experience leading finance and accounting teams, developing relationships with equity analysts and supporting financial transactions ranging from mergers and acquisitions to initial public offerings. He joins OpenX from Hulu, the online video service where he served as senior vice president and chief financial officer and was instrumental in taking that company from $0 to $1 billion in revenue in six years. Fuelling will report to OpenX chief executive officer Tim Cadogan and will be based in the Company’s Los Angeles headquarters. The appointment is effective immediately. Through its global Real-Time Bidding platform OpenX has become one of the leading providers of technology that enables digital media companies to maximize advertising revenue. OpenX provides its full monetization platform, which combines an ad exchange with Supply Side Platform technology and ad serving, to its customers across any digitally connected device. The OpenX platform has been broadly adopted worldwide with 96 percent of AdAge leading national advertisers and 65 percent of comScore 100 publishers now participating in the exchange, which is known for the integrity and high quality of its publisher inventory. In 2013, Forbes ranked OpenX number 7 on its list of America’s Most Promising Companies and, on its Technology Fast 500™ list, Deloitte ranked OpenX as the third fastest growing company in North America in the Software category. In his new role, Fuelling will oversee OpenX’s accounting, financial planning and analysis, and talent and organization functions. In particular, he will drive enhancement of the Company’s business analytics and lead the build-out of his teams. Fuelling will also focus on the development of the organization and processes that will enable it to scale to greater levels of revenue. Fuelling was one of the original executives that launched the popular Hulu service, which is owned by 21st Century Fox, The Walt Disney Company and NBCUniversal. Prior to Hulu, Fuelling served as chief financial officer at a number of companies, including Ascent Media Network Services, a Liberty Media company; ARTISTdirect, where he helped take the company public; and Village Roadshow Pictures, a film and television production company. Fuelling began his career at PriceWaterhouse where he spent eight years in the entertainment practice. Fuelling holds a B.S. in Accounting from the University of Southern California and an M.B.A. from the Kellogg School of Management at Northwestern University.